Twyla M. Hansen, who was named Nebraska State Poet by Governor Dave Heineman last November, will be officially introduced to the public at 2 p.m. on Monday, January 13 at the Warner Chamber of the State Capitol in Lincoln. First Lady Sally Ganem will have the honor of making the introduction. All are invited to attend this event. Hansen will read her own work and share some insight about what she plans to accomplish during her five-year tenure. The other two Nebraska State Poet finalists, Matt Mason and Roy Scheele, will also read their own poetry. 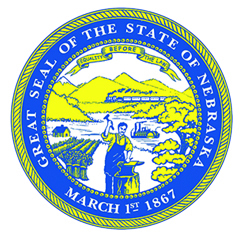 Hansen was recommended to Governor Heineman by a five-person selection committee coordinated by Humanities Nebraska, the Nebraska Arts Council and the Nebraska Library Commission. The committee included five notable Nebraskans who together have an extensive background in literature, poetry, education and community outreach: Allison Hedge Coke, Kwame Dawes, Dr. Charles Peek, Laureen Riedesel and Mary K. Stillwell. 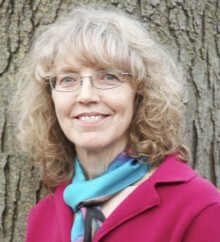 American Book Award winner Allison Hedge Coke of Omaha is the author of numerous works and director of the Literary Sandhill Crane Retreat & Festival. Poet Kwame Dawes is the Chancellor’s Professor of English at the University of Nebraska-Lincoln (UNL) and editor of the national literary quarterly, Prairie Schooner. Retired professor of English Charles Peek is rector of Saint Luke’s Episcopal Church in Kearney and has a long history in education. Laureen Riedesel has been head librarian of the Beatrice Public Library for more than three decades, fostering numerous opportunities for education and literature in her community. Poet Mary K. Stillwell of Lincoln is a scholar and lecturer for UNL’s Department of English, as well as serving as artist-in-residence for various writing workshops across the state. Hansen is the third poet and first woman to hold this position. John G. Neihardt was made Nebraska Poet Laureate in Perpetuity by the state legislature in 1927. William Kloefkorn, Hansen’s poetry mentor, was named Nebraska State Poet by former Governor Charles Thone in 1982, a position he held until his death in 2011. Born and raised on a farm in Northeast Nebraska, Hansen holds degrees in horticulture and agroecology. She first dabbled in poetry when she took one of Kloefkorn’s classes while employed by Nebraska Wesleyan University. She will hold the title of Nebraska State Poet for a five-year term that ends in November 2018. For more information about the State Poet Introduction, contact Humanities Nebraska at (402) 474-2131.